The federal government on Monday placed a 20-year hold on new gold mines in mountains at the doorstep of Yellowstone National Park. While touring the Paradise Valley north of the park, Interior Secretary Ryan Zinke announced that he would extend a 2016 Obama administration ban on new gold mines across 30,000 acres in the Absaroka-Beartooth Mountains. The new ban will last 20 years, the maximum time allowed for such actions on public land. “I fully support multiple use of public lands, but multiple use is about balance and knowing that not all areas are right for all uses. There are places where it is appropriate to mine and places where it is not. Paradise Valley is one of the areas it’s not,” Zinke said in a statement. That puts a crimp in the plans of the Crevice Mining Group LLC, an Australian-backed company intent on mining near Jardine, and Lucky Minerals Inc., a Canadian company, which has been working since 2015 toward getting approval to open mines in the Emigrant Gulch area. Several groups, including the Greater Yellowstone Coalition, the Park County Environmental Council and the new Yellowstone Gateway Business Coalition, opposed the mines from the start. They appealed to Montana’s congressional delegation to stop the mines. Those groups sued the Montana Department of Environmental Quality to force the agency to withdraw Lucky Minerals’ permit to mine on private land in Emigrant Gulch. Earlier this year, a Montana judge ruled in their favor and required DEQ to do a more thorough environmental review before issuing the permit to Lucky Minerals. Now the surrounding federal lands are protected from new mining, and supporters say that will hamper efforts to develop private land claims. But the ban is temporary, and existing mines and claims are allowed to continue. The Yellowstone Gateway Business Coalition includes more than 200 landowners and businesses from Gardiner to Livingston that depend on tourism and a healthy environment to make their living. They claim they aren’t anti-mining, but they recognize that sulfide gold mines could ruin their local economy and lifestyle. Chico Hot Springs Resort owner Colin Davis said the Yellowstone Gateway Business Coalition will push for making the ban permanent through pending measures in Congress. Joe Josephson, Greater Yellowstone Coalition’s Senior Montana Conservation associate, said GYC would turn its energy toward the same thing. “We’re thankful to Interior Secretary Ryan Zinke for staying steadfast with Montanans against mining the gateway to Yellowstone and for showing that Yellowstone cuts through partisan politics. This 20-year extension gives us breathing room to pass Sen. Tester’s and Rep. Gianforte’s bipartisan bills that will protect Yellowstone, and the thriving local economy here, forever,” Josephson said. 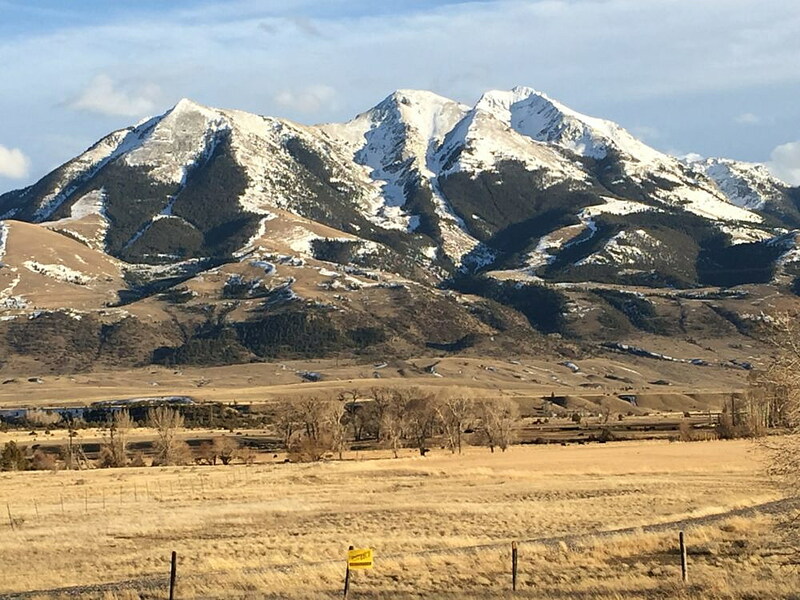 On Oct. 2, the Senate Energy and Natural Resources Committee unanimously passed Sen. Jon Tester’s Yellowstone Gateway Protection Act, which would permanently withdraw mineral rights in the Absaroka-Beartooth Mountains. On Sept. 26, the House Natural Resources Committee approved similar legislation sponsored by Republican U.S. Rep. Greg Gianforte by a vote of 28-4.